Fear of failure can hold us back from growing, from taking risks, can’t it? Making goals toward growth, or choosing one area to grow in, make us more aware than ever of our failure, doesn’t it? Thanks for your words of encouragement today, friend. It does. The fear of failure can SO hold us back from change. Thanks for encouraging me Betsy! 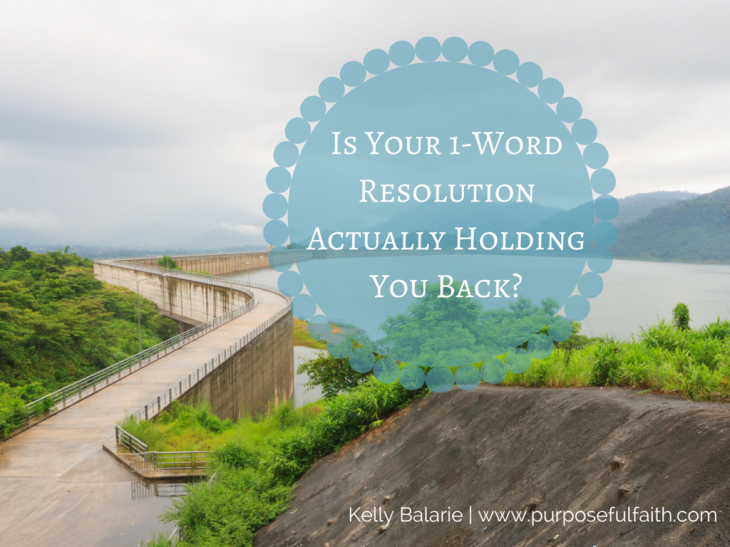 Kelly I used to shrug the one-word because to be it was just a fancy way of saying without for those who claim they don’t make resolutions. But last year this one word kept haunting me and wouldn’t let me go. And sure enough God had it manifest in my life in ways I hadn’t imagined. I did nothing to pursue living out the word. Christ revealed himself in new ways to me through that word. And again this year he has whispered a word to my heart, a word I’d rather run from but I stand waiting to see how it will present itself because my flesh will surely want to do the opposite. Praying that you rest in knowing the good work he began in you will continue until the day of Jesus Christ. Thank you for your words of encouragement. I am starting to feel ok with the process of change rather than demanding it. I so value your words! Your post parallels mine today. I also needed to reflect on my one word which God chose for me-shine. I decided to go in full force and make it happen because I am impatient for results. Well, 20 days into January God has reigned me back in. Your words “it is not you that is at work, it is me” were the another confirmation for me that God is in charge and that is okay. Thanks for the link up! Blessings! Mary, thank you so much for your comment and your words. It is interesting how we both were thinking along the same lines. Thank you Jesus that it is you at work and not us. I can’t wait to read your words, Mary. Enjoyed reading this post. I have very much been blessed in focusing on the one word I felt God compelling me to focus on the last few years. Each word seemed to build on the one from the year before bringing new growth in my life. I may not have grown as fully as I would have desired but I made progress 🙂 and in that, I consider my focus to have brought some measure of success rather than failure. It truly is a process this journey with Him & I am so grateful He is more patient with us, than we are with ourselves. Glad to be here again this week! Joanne, thank you so much for this comment. I am so glad that the Lord is being faithful to grow you and develop you in his ways. He is so good. I am so glad you are here! I so agree it is a process. May God bless you in that this year, Joanne! Thank you so much for this Gayl. We can learn from failures. We can learn from his love, his grace and in our acceptance of it. Much love to you. I have chosen 1-word in years past. I was always challenged during the year. I chose a word this year (JOY), and immediately I was heavy, sad, and dragging. I felt God speaking to my heart to push through and strive to be better. I most likely will not MASTER joy, but I will strive daily to find Joy in Jesus. To find rest in Him in the busyness of motherhood. You bring up a good point of feeling like I have failed at the end of the year. Honestly, I feel like I fail daily! But God lets us have a new start every morning. I LOVE your reminder that Jesus gives “a love that doesn’t stop at our failings.” Oh, it is so beautifully true! It is a choice to grow. Being stagnant is easy – do nothing. But my word helps me to choose wisely. Thanks for your beautiful words today! Thank you Dana. I know what you mean about failing daily. Praise Jesus for grace. Thank you for the comment. Kelly, be patient with yourself! 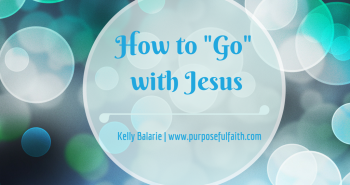 My word was disciple, and it was definitely a word given to me by the Holy Spirit, because I wanted something fun, something that I already know how to do. Disciple? That scares me. But I’ve learned to just let it go, back into the hands of the God who gave it to me. For at the appointed time, He will show me. Meanwhile, I can learn. I’ve spoken to a woman I know who has discipled many in hopes that she can at least help me learn what to do and how to do it! The “who to disciple?” will come. We are so hard on ourselves, especially us cheerleaders! It’s so easy to encourage others, but there are times when we need encouragement. But when we put it out there that we’re encouragers, well, then it’s not so easy to let our guard down, and let people see that we aren’t always happy and cheerful and together…together? Ha! We’re never together are we?! Be good to yourself today, Kelly! Thank you for the encouragement to be patient. I do need to do this. Your words are wise Mary and very well received. You are right about letting our guard down. We feel we are required to stand tall. I love what you wrote her. Thank you so much for this. Sheila, I just love the idea of new beginnings. It is beautiful. A constant beginning…over and over and over. 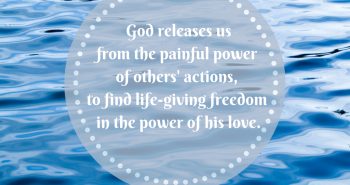 Gradually we are renewed and released by him. Love that. Thank you! Thank you so much. I am all about digging deeper, although sometimes it does get very uncomfortable. Thanks Dolly. You are a great support! This is so heartfelt and hope-filled, Kelly. “Failure is the hidden treasure – we let go of self and grab hold of Christ.” Love the way you look at what failure can be. Thank you for this hope today. Thank you so much. Failure is so hard sometimes. I am glad I encouraged you to grab hold of hope. Yes! “Aiming to just behold Him…” And yes, we will fail, but with each failure, He will grow us stronger! Amazing grace! Thank You Ellen. He is so faithful to grow us more and more! Love this comment. Kelly, I am glad you are here today and every day that I am able to come by. Patience is either really easy or really hard for a person. I commend you for finding a word! I’ve never picked “a word” and rarely make resolutions–maybe I just want it all… But you were able to be patient enough to wait for God to put it on your heart, and faithful enough to obey. He often doesn’t ask us to do the easy things, does He? Cheering you on. Thanks Deborah, I find such peace through your words. Love it. He doesn’t ask us to do easy, he asks us to walk with him. You are SO right! So glad that God loves us, despite our failures. And so thankful that He will complete the work that He has started in us, because He never fails. Angel, he will complete the work, there is so much encouragement in that. Thank you! I like that – a reminder. That is a great way to see it. I love the word rest. Rest, sweet Cheryl, rest. As I went to sleep after posting, I prayed myself to sleep with rest as the foundation. It’s a great way to fall asleep. Thank you for your encouragement. That is so wonderful Cheryl. I am so glad you rested your soul with God. You are welcome thank you for commenting and joining us. We are blessed with your presence. On a serious note…I believe God wants to perfect both in my life…all for His glory. I will strive to be patient (using your word) through the process. Also, I am rallying support…asking others to pray for me along the way. Thank you for sharing this Kelly! Hi Yolanda, I love your words. He is working his glory in you that is for sure. I am praying for you and your work in Christ! Go Yolanda! Yeah, my word can be a copout 🙂 – BUT (see how we turn positive) – it reminds me to look up for Him when I think of it. Maybe all these ideas of one words and life verses just nudge us a little closer to keeping him on the front of our minds. Blessings to you (and the practice of a word most women cringe at – patience) 😉 He can work it in you and through you! Thanks Ginger. There are no copout words! Just to focus our eyes on him is so meaningful. Keep going strong this year! Without God, we can do nothing, but with Him, all things are possible! Thanks for the great post & for hosting, & God bless! Amen & Amen! You got it Laurie. There is such power in knowing that.